High flattish summit useful in routes. 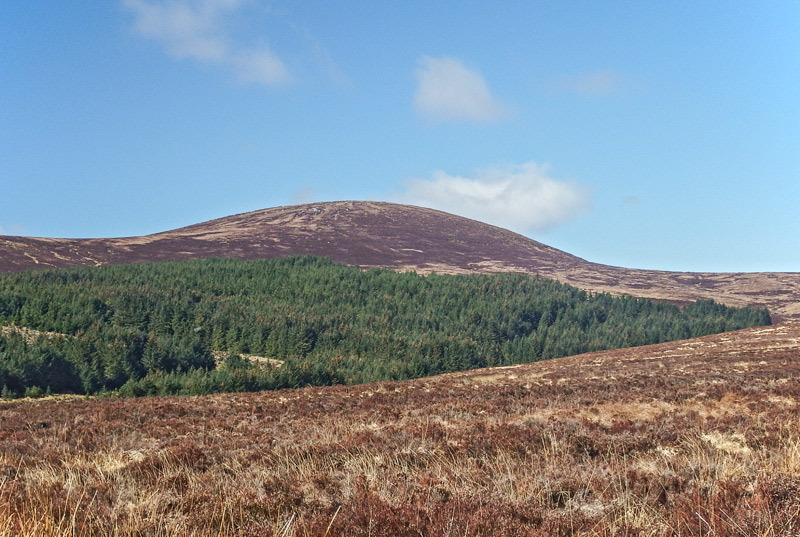 Think of Duff Hill as part of an ascending sequence starting at the Sally Gap of Carrigvore, Gravale, Duff Hill, Mullaghcleevaun E Top, Mullaghcleevaun. Its east side is surprisingly steeper than most mountainsides in Wicklow. Its rock strewn summit has good but not exceptional views from the top.